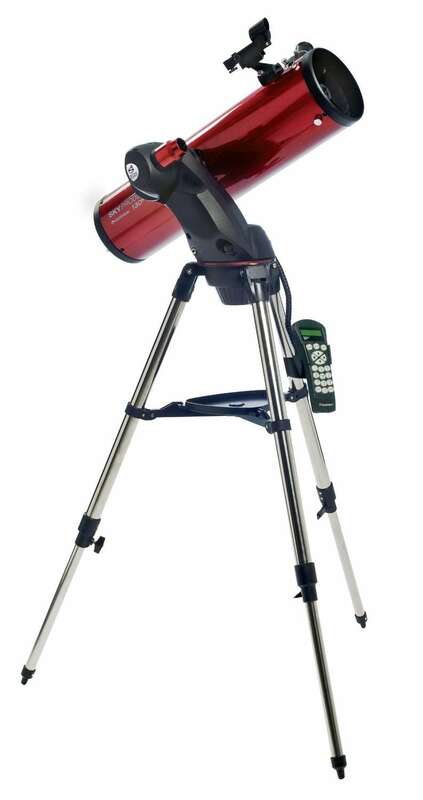 'Tis the season to take up astronomy, as they say, so what better way than by buying some equipment. But delving into this world can be fairly daunting, with an array of terms, abilities, and more to get your head around. Before we start, we should note that we definitely advise against buying the telescopes you find in a department store for under $100 or so. These tend to be awful quality, and are not worth your money. They will often tout ridiculous magnification figures (like 600x), which is useless for small telescopes and the image will just appear blurry. There are plenty of cheap options that are still good quality! Starting out with a pair of binoculars, before you splash out on a telescope, is also a good diea. You'll be surprised what you can see in the night sky with a good pair of astronomy binoculars. But if you're ready for a telescope, what should you buy? Here, we’ve broken up the sections into beginner, intermediate, and advanced. Let’s take a look. 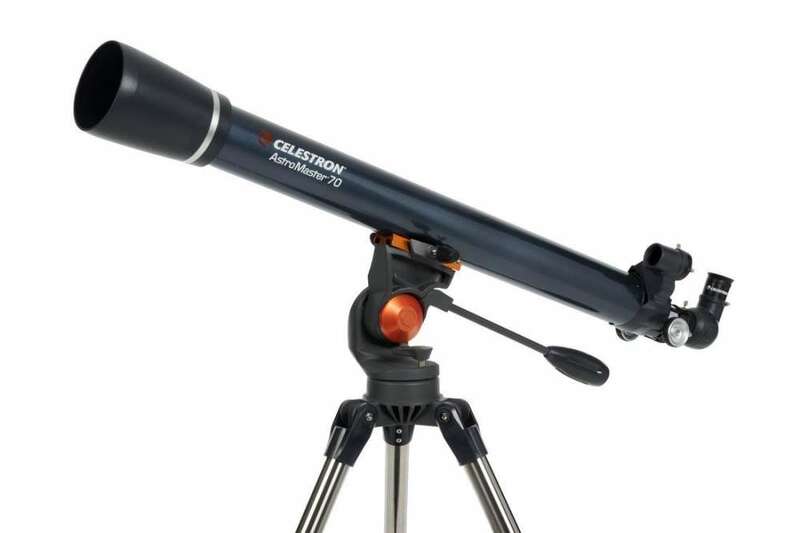 If you do want to go cheap and cheerful, or your telescope is for a little’un, then the Celestron FirstScope isn’t a bad bet. 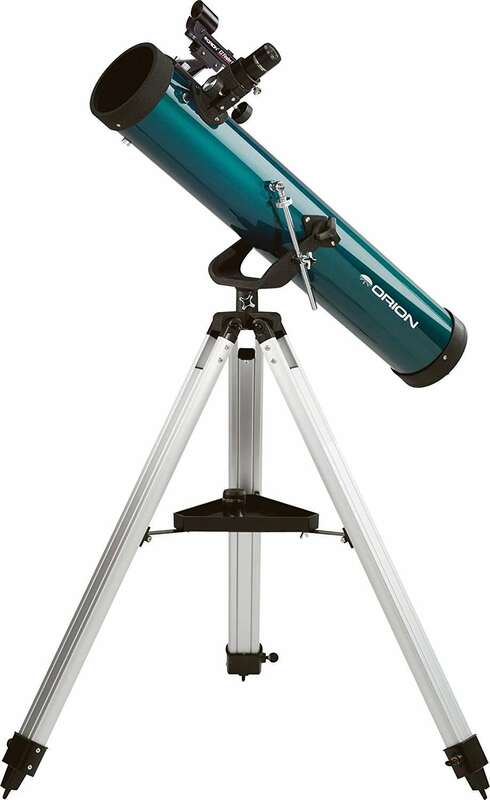 It’s a small tabletop telescope that comes with two eyepieces, giving you wide and close-up views of the night sky. It’s got a small aperture of 76 millimeters (3 inches) so the range of objects to view won’t be great, aside from the Moon and planets. But, for the price, it’s not a bad choice. Considering the price, this is a decent telescope. With a 76-millimeter (3 inches) aperture, you still won’t see a huge amount in the sky, but it's a good introduction to getting to grips with how a telescope and its mount works. 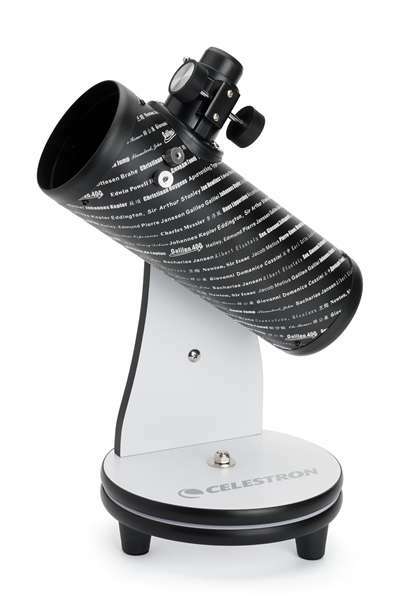 If you’re willing to spend a bit more money but don’t want to go crazy, the Celestron AstroMaster 70AZ is quite good. It’s a refractor telescope, with an aperture of 70 millimeters (2.76 inches). 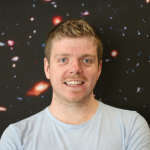 With this, you should get some decent views of the Moon and planets, and even the moons of Jupiter and rings of Saturn. For deep sky objects like galaxies and nebulae, though, you’ll need something a bit pricier. 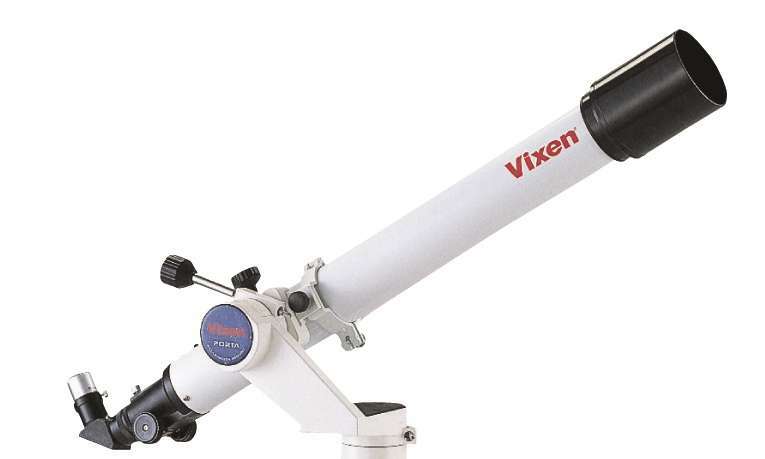 Aside from looking rather pretty, this Vixen telescope boasts good optics despite its size. Its aperture is only 70 millimeters (2.8 inches), but this is a good choice for picking out detail on objects like craters on the Moon or the rings of Saturn. 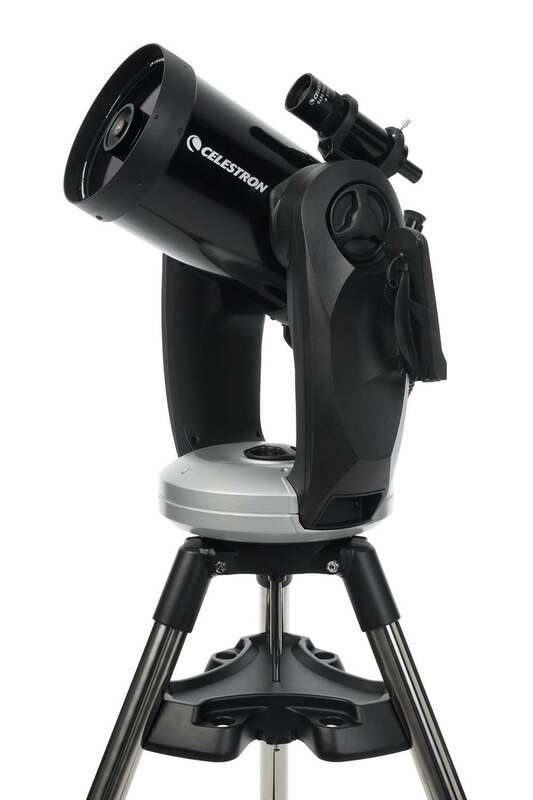 If you’ve used a telescope before and want to upgrade, or think you’re ready for a bigger plunge, then check out the Celestron SkyProdigy 130. Its large aperture of 130 millimeters (5.1 inches) will cope with an array of Solar System and deep sky objects, but its main selling point is its GoTo capabilities. Once the telescope has been aligned with three bright stars, you’ll be able to use a hand controller to automatically point it to various objects at the touch of a button. 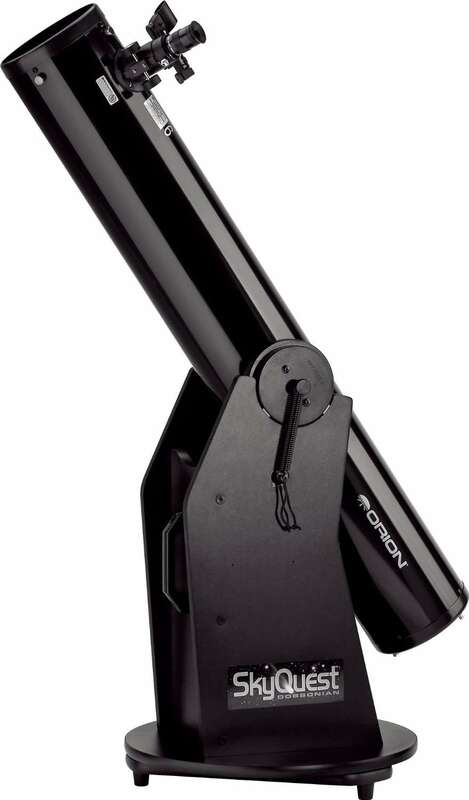 If you’re ready to dig deep in your pockets, this Dobsonian is a good choice for seeing distant galaxies and nebulae. It’s a bit complicated to set up but, once it is, that 203-millimeter (8 inches) aperture will do a great job of opening up the universe. 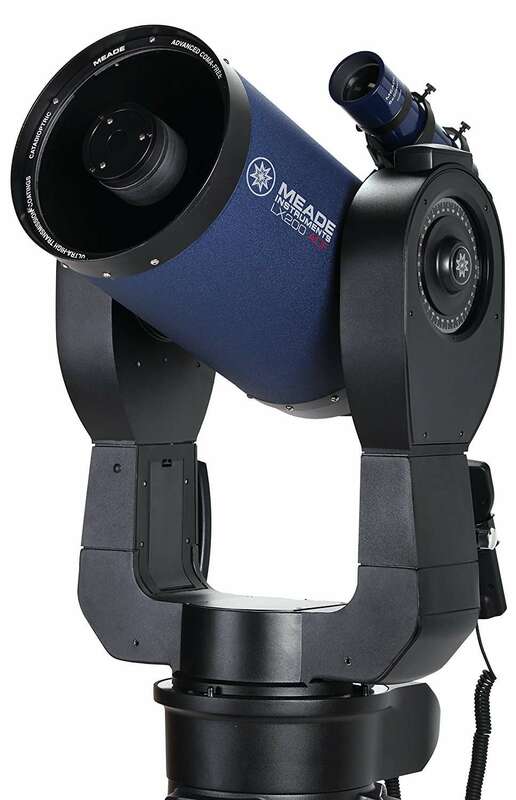 This Schmidt-Cassegrain telescope, with GoTo technology, boasts an aperture of 203-millimeter (8 inches). Despite the money it’s good value and a sturdy build, affording you some excellent views of the cosmos. 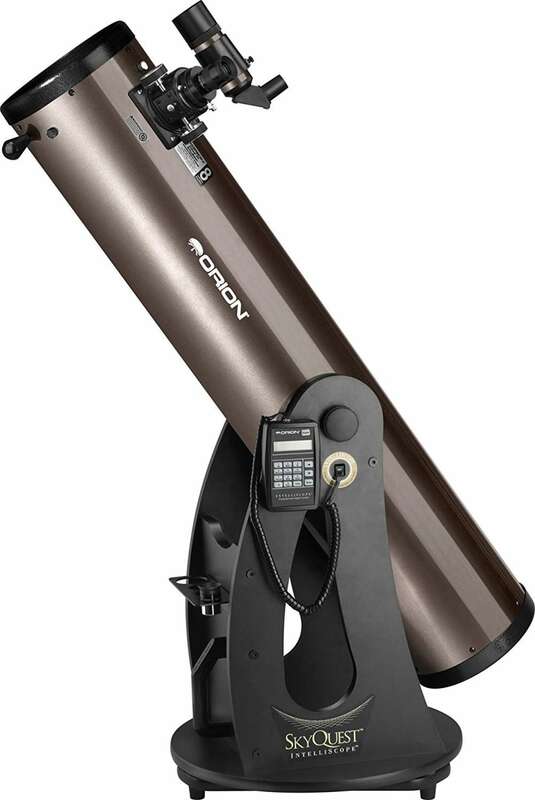 If you’re prepared to go the whole nine yards, then this feature-rich telescope might be your bag. With a large 203-millimeter (8 inches) aperture, and a GoTo computer, this telescope will let you find even those hard-to-see deep sky objects.